Oh breaking news you might think now – I guess this café is not a secret spot at all. But against my expectations of such an “insta-famous” place, the service and the food was amazing! We ordered eggs and croissants and coffee and a hot chocolate of course and everything was super delicious. Also, the waiter was such a cool guy so that we definitely enjoyed our time there. Even on a chilly February morning, we could sit outside with the heaters – that makes it easier fir pictures too ofc. 😉 So make sure you arrive early if you want to visit during the weekend but other than that, we easily found a spot at around 10am on a Sunday. 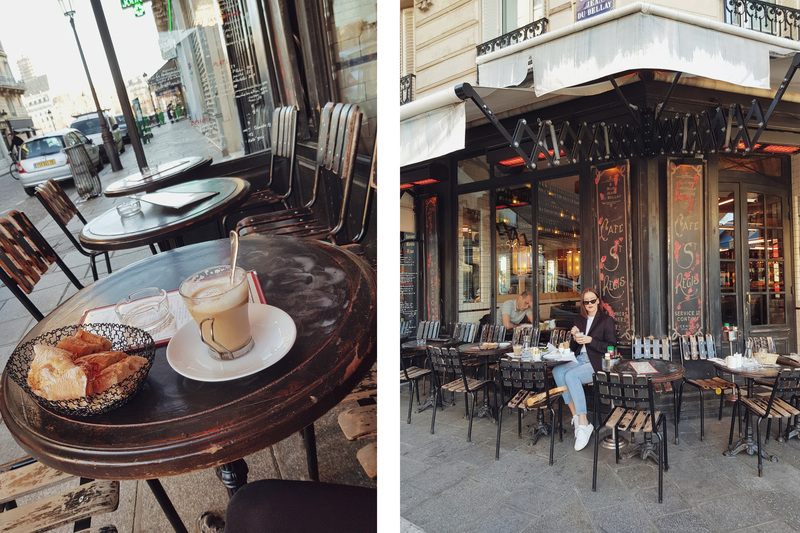 Another beautiful and very instagrammable café, this time near Notre Dame and with great views. I must say that I liked the eggs a little bit better at Café de Flore but still – we had a lovely morning here. Also, we were almost the only ones on a Monday morning having coffee outside. (again: great for pictures! haha). They are also offering different dishes for lunch and dinner, so I definitely want to come back and try more. This one is hopefully totally new to you, as we spotted it by accident near our hotel. 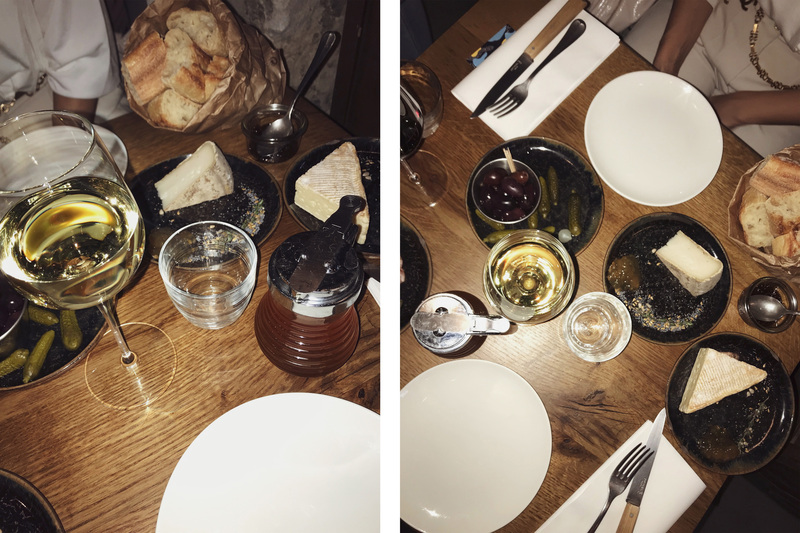 This restaurant offers the perfect baguette, cheese an wine feast that you were looking for. They have daily changes for cheese platters and everything along with it like olives, cold cuts and so on. Also, the place itself is very cool as they are showcasing huge cheese wheels and lovely wooden interior. The service was also super-nice and friendly, which totally surprised me as I remembered the Parisians to be a bit cold. But : two thumbs up and definitely mark this place on your maps! 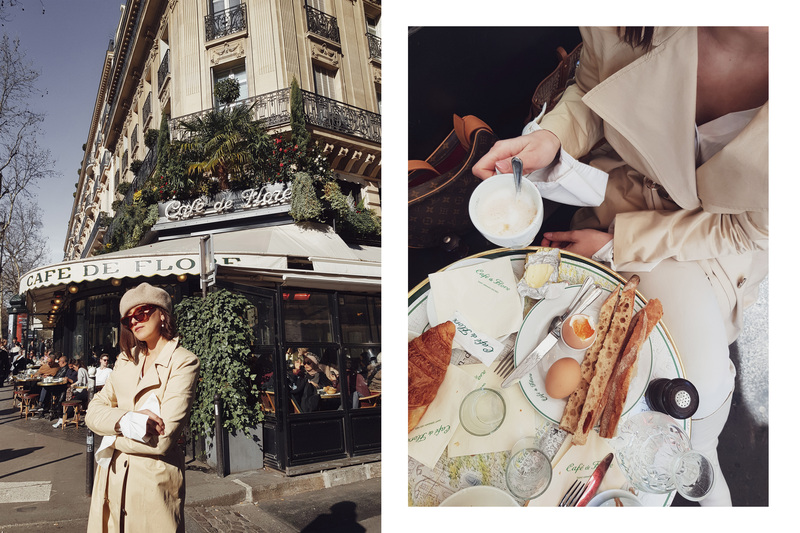 So tell me – what is your favorite spot café or restaurant in Paris? nice post thank you for shearing keep it up. Die Cafés sehen super schön aus Maus – müssen definitiv gleich auf meine Liste, wenn es das nächste Mal nach Paris geht❤️ Kann es jetzt schon kaum erwarten! oh das Cafe de Flore stand aucg ganz oben auf unserer Liste. Aber leider leider haben wir es nicht mehr dort hin geschafft. Das sind mega tolle Cafés! Ich liebe es wenn es Stil hat und auch noch richtig gut schmeckt. Tolle Tipps für den nächsten Besuch in Paris. The food looks so good at these places!! Das sieht ja alles super lecker aus und wie schön ist es bitte wenn man draußen sitzen kann!!! Wir wollen dieses Jahr vl auch noch nach Paris fliegen. Hi, I’m Tina and the blogger behind the german fashion, travel & lifestyle blog “Style Appetite” which has been founded in early 2016 to express my personal style, beauty, lifestyle & travel interests next to my fulltime job. I’m based in Berlin but always in search of warmer temperatures and a nice coffee spot around.